Team #Emilymatters is busy working on new creative projects – there will be updates about these over the coming months. For this year’s National Voter Registration Drive (#NVRD), we’re focusing on the reasons we believe lies behind the decision not to vote. And before you can vote, you must register. There are plenty of excuses given for not voting but behind many of these is a simple truth that too many people think that their voice, their vote doesn’t matter. This issue was brought home to me by a conversation I had with Lauren, a student and potential voter at last year’s Scottish Independence Referendum. I was collecting vox pops about why voting matters and Lauren was the first person I chatted with. 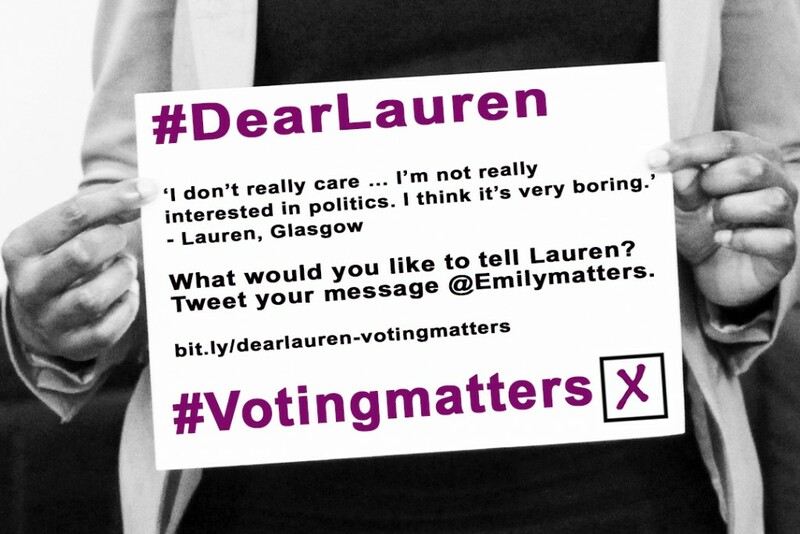 Lauren’s thoughts on voting led to our #DearLauren message to a first time voter campaign, which drew in messages of advice, understanding and support from all over the world. Some of the tweets are now part of a verbatim scene in the new interactive performance that also includes scenes from my play about Emily Davison (To Freedom’s Cause), which was performed in Parliament almost two years ago – the play was the catalyst for #Emilymatters and is the heartbeat that sustains it. 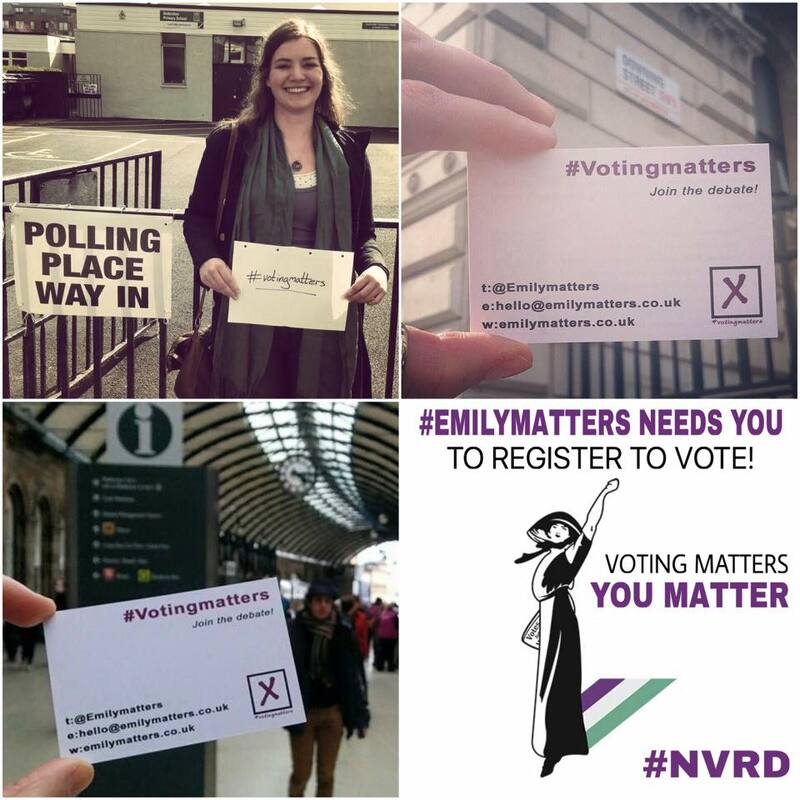 As a result of #DearLauren, our focus for last year’s NVRD was that: “You matter & your vote matters”, which we are continuing to develop and it’s great to see that Bite the Ballot have included “You Matter” in their campaign this year. We fully support all efforts to encourage more people to register and use their hard won right to vote. 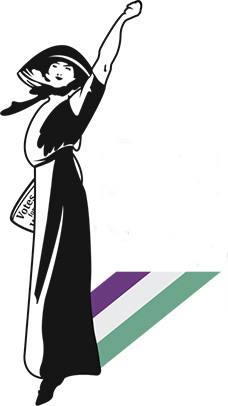 Suffragette Emily Davison cared deeply about social justice, education & equality matters, not just the right to vote. Politics is very much part of daily life – decisions made by politicians in Westminster, Holyrood, the Welsh Assembly and Stormont affect us all, from schools and colleges to hospitals GP appointments, transport, housing and social services. Despite huge efforts last year and record numbers of people registering to vote at last year’s UK general election, fewer young people voted (down 1%). And if this wasn’t bad enough, it is estimated that 800,000 people have dropped off the electoral register – mostly students and young people. So there is no time to waste and none of us can rest on our laurels. In the UK, Friday 5 February 2016 is National Voter Registration Day #NVRD. It is vital that young people and women register to vote – both groups remain under represented at the Ballot Box. #Votingmatters globally & this year will see the USA’s Presidential elections & a possible EU Referendum in in the UK amongst other pivotal elections this year. It only takes a few minutes to register – make sure you have your National Insurance number to hand. 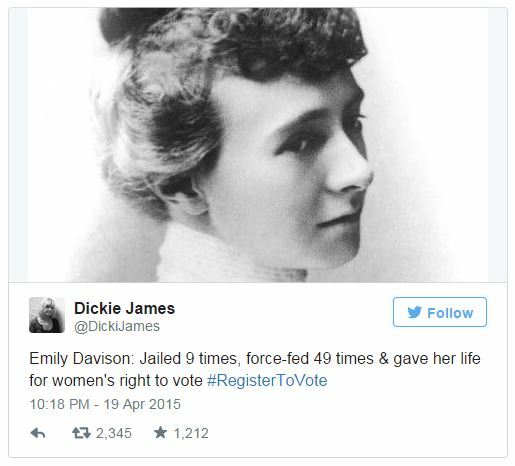 Suffragette Emily Davison faced untold pressures to give up her campaign to get women the right to vote and have an equal stake in society. Stay true to who you are and use your hard won right. Democracy is a precious gift that is all too easily taken for granted when you have it. 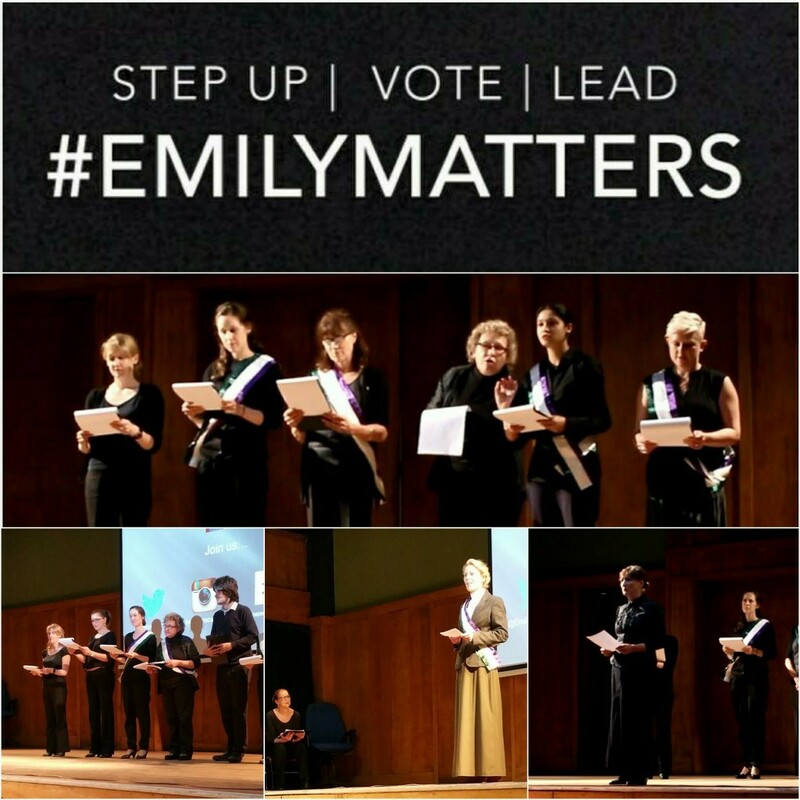 Our future plans are taking shape and so we’d love you to get involved and be part of our #Emilymatters Crew. Be inspired by remarkable women like Emily Davison, Sophia Duleep Singh and Sylvia Pankhurst but most of all take action! 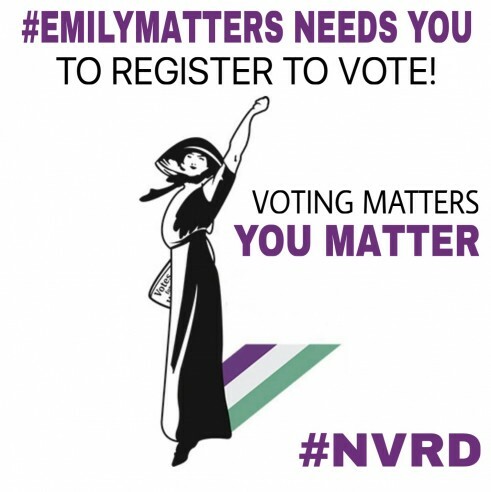 « #Emilymatters – Post haste!